All you need to mine cryptocurrencies is the right hardware. You can use a PC already in the living room or create your own mining rig. Rig is the name given by the miners to computers that only have the hardware required for mining and were specially manufactured for this purpose. The computer or rig synchronizes with the blockchain of the cryptocurrency and helps to create new blocks. If he succeeds, he receives as a reward a few coins of the respective crypto currency, which are sent to a wallet. This is only possible if the computer or rig is always online. Once the whole setup has been set up, the mining is completely passive and all you have to do is make sure everything runs smoothly. What Should Be Considered Regarding Crypto Mining? The high acquisition costs of cryptocurrencies must always be taken into account. Mining requires powerful hardware. Mostly it concerns the graphics card or the ASIC processors. You should also pay attention to which of these two the cryptocurrency actually needs. Apart from these one-off costs, mining consumes a lot of electricity. Therefore, a mining calculator should be consulted. This can provide information on how high the profit is and whether the electricity costs are covered at all during mining. In most cases, the investment in hardware only pays for itself after many months thanks to the high electricity costs, especially here in Germany. If the costs for a single person are too high, you should think about cloud mining or the mining pool. What Do You Need To Mine Cryptocurrencies? To mine cryptocurrencies you should first set up a wallet that can store the crypto currency. Then comes the most important thing: technology. 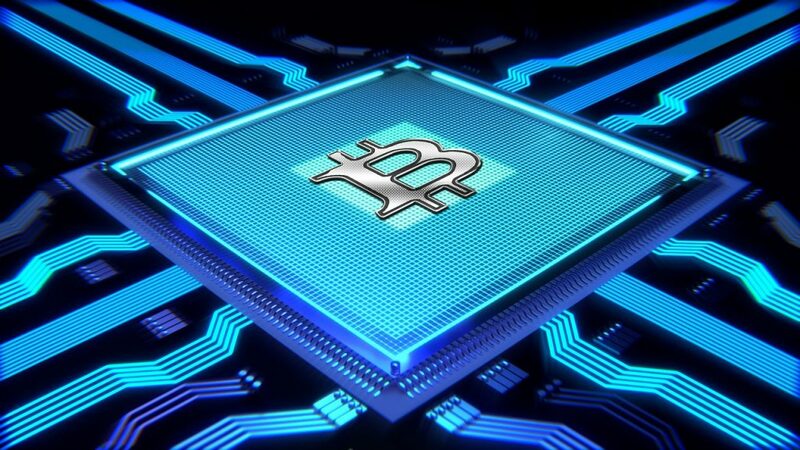 For cryptocurrency mining, high-end processors and graphics cards are required, usually several at a time. Monitors and keyboard are unnecessary gadgets, the rest of the hardware is just there to support the graphics cards and processors. For certain coins the easiest way is to rent a Virtual Private server externally, where you can install the software and let it run 24/7 at very low cost. Check the possibilities on peer-server.com. Another decisive element is the software. Different cryptocurrencies use different mining software. The best way to get information is to visit the website of the respective cryptocurrency. They usually offer valuable help. If you want to trade cryptocurrencies in order to make short-term profits with them, you should contact the crypto exchanges. Even if you want to own a crypto currency because it enables services on a platform, mining is not worthwhile. Just buy on an Exchange makes more sense here. Cryptocurrencies are mostly used to build up a passive income. It represents a long-term investment that only really pays off after many months. Some are also interested in mining to support the system of a blockchain because they like the cryptocurrency behind it. How Can You Mine Cryptocurrencies On Your Mobile Phone? There is also another option that costs much less money. And you can mine a few coins with your mobile phone. This is currently only possible with Electroneum, but could still find successors in the future. You need an Android smartphone, with the iOS it should be possible soon. Download the Electroneum app from the Google Play Store, register and start mining. The more powerful your phone is, the more you earn. So far, not many ETNs have jumped out. At the same time, the acquisition costs are considerably lower. Unlike most PCs, the smartphone can be used normally during mining. Which Cryptocurrencies Will Mine 2018? When choosing the right crypto currency you should not only pay attention to how much a coin is worth at the moment. It is sometimes more important how difficult it is to mine. If the crypto currency is particularly difficult to mine, the chance of successfully digging a block decreases. That’s why mining Bitcoin is hardly worthwhile for most private miners. To mine Bitcoin, you need an entire server farm. Litecoin is a worthwhile alternative to Bitcoin. With Litecoin, the difficulty is much lower, as are the electricity costs. Although a Litecoin is also worth considerably less, Litecoin mining will be more profitable for most people. Some also say that Litecoin is the better bitcoin. This could be a real investment in the future. Ethereum is also worth considering. Ethereum could also eventually overtake Bitcoin, thanks to its platform where users can create their own blockchains and tokens. An Ether Token was worth only $40 at the beginning of 2017, and nearly $900 a year later. However, the Ether Token is only a token and does not serve as a means of payment. It can still be easily exchanged for Fiat currencies. Dash is another promising crypto currency. It is mainly concerned with particularly anonymous transactions. This cryptocurrency is still relatively new, but has already increased its market capitalization. However, some of the mined coins also fall to the community to distribute them more fairly. You can run a masternode to earn rewards. If you want to mine cryptocurrencies, there are a few things to consider. There are the high acquisition costs and the costly electricity. Once this hurdle has been overcome, however, the mining process runs on the side and generates a passive income. If you also made the right choice with the crypto currency, it can really be worth it.